I’m sad to say I won’t be making it to TCAF this year after all. A very big bummer, but the coordinators were really great about it so with any luck I’ll see you there next year. If you’re in Michigan this weekend, I’ll be at the MSU comics forum in East Lansing along with a bunch of my super talented ‘Murican friends! The new year is already off to a great start! 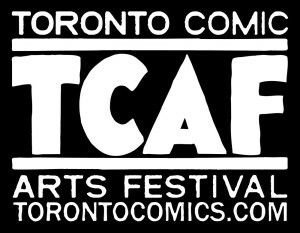 I’m still locking-down appearances, but so far I’ll be in Windsor and Michigan in February, Sarnia in March and I got the word that I’ve been accepted to TCAF 2016! Very exciting for me as it’s been a few years since my last exhibit there and it’s a fantastic show, but it also means some pretty big things are coming and some others are changing. Firstly, it means I absolutely HAVE to have the first K&D and third Promises Promises books printed and ready for sale in May. 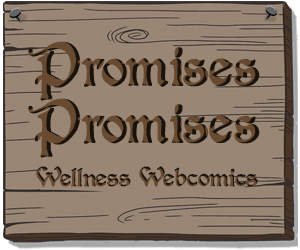 I need 20-25 more Promises Promises comics to flesh out the last volume and those will be posted in advance, exclusively to patrons! 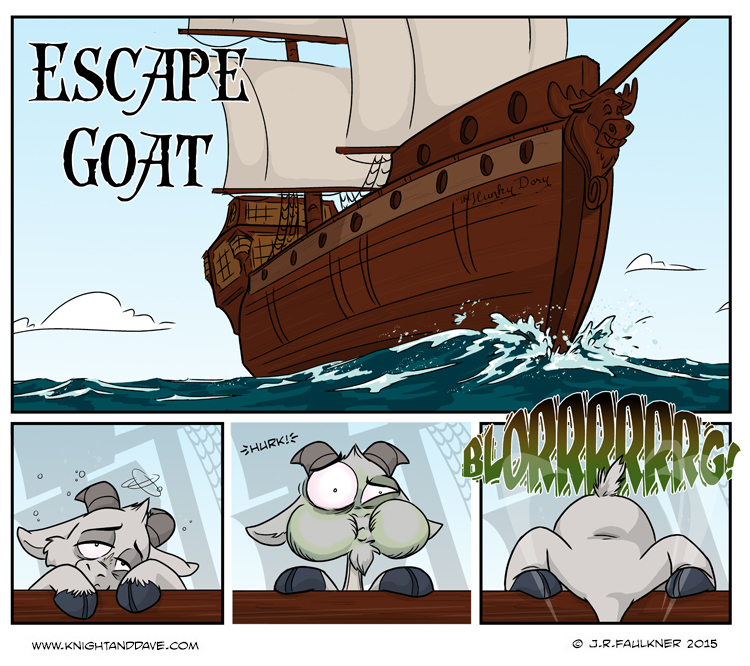 Secondly, it means a delay on the new K&D story, so I’ve made an executive decision; now that Escape Goat is finished, there will be a short hiatus, (probably to the end of January) while I’m working on the new Promises comics, and then the new K&D comics will be exclusive to patrons and people who purchase the print and/or ebooks. I haven’t decided whether to keep posting to Comic Chameleon yet or whether to post another story here some day but frankly, thanks to ad blockers, it’s not a great investment lately. If you’re not a Patreon backer yet, I certainly encourage you to try it out, (https://www.patreon.com/jrfaulkner). 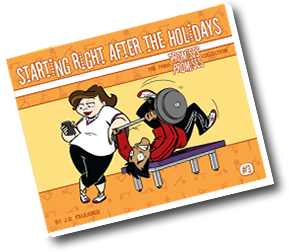 I’ve already posted a load of bonus content and rewards. You can pledge any amount you’re comfortable with and cancel at any time. If you pledge today, your name will be added to the patrons page, you’ll get access to all of the bonus making-of Knight & Dave stuff, early access to new comics, exclusive live-draw sessions plus all of the bonus content I published during the Promises Promises campaign! All that and the warm-fuzzy feeling that goes with knowing you’re making it possible for your favourite creators to keep making the work you enjoy – What a deal! As always, any social network support is greatly appreciated. Every like, share and retweet goes a long way. If you have any questions about Patreon, the rewards or just want to see what goes on here, I’ll be doing a live-draw and chat today, (Friday, Jan 15th), at noon on Twitch: http://www.twitch.tv/julesr10/. Hope to see you there! As we’ve all been hearing, the prediction for 2016 is that prices will be rising all over and unfortunately, I seem to be no exception. Costs in production and shipping went up a shocking amount last year so I have to hike up my rates, (sorry about that), but the good news is that I’m selling off my existing stock for 2015 prices so there’s still time to get while the gettin’s good! Everything in the Promises Shop and Etsy Store will be available at existing prices from now until February 1st or until stock runs out. After that, I’m afraid I have to join the rest of the rat-race.